1. 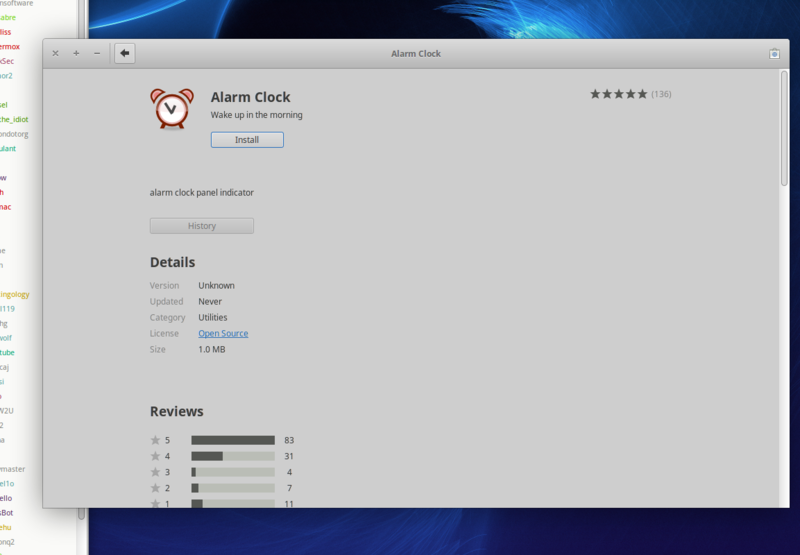 Open the Software app (GNOME Software). Search for clocks. 2. Click Install next to Clocks. 5. If you click the Clocks row (still in the All page), the Clocks info page opens with an Install button (it should have a Launch button and a Remove button). 6. If you switch to the Installed page, Clocks correctly shows up with a Remove button. 7. If you click the Clocks row in the Installed page, the Clocks info page correctly opens with a Launch button and a Remove button. 8. Close the Software app then reopen it. Same results as #4-7 above. 10. Open the Software app. Now Clocks shows up correctly in the All page with a Remove button and the Clocks info page correctly includes the Launch and Remove buttons but not the Install button. 11. Click the Remove button to uninstall Clocks. 12. We basically get the same broken results as before. In the All page, the Clocks row shows Remove still. Clicking the Clocks row shows the Info page with Launch and Remove. One change is that in the Installed page, Clocks shows up twice, once with an Install button, once with a Remove button. Completely stopping the gnome-software process (via logging out or the pkill trick mentioned in #9) is necessary for the Software app to correctly register Clocks as being removed. I was unable to reproduce this bug with Fedora 24. See also bug 1582959 which is similar but a bit different. In bug 1679417, a user reported that the package disappears from the Installed list if Remove is selected but password authentication is cancelled or failed. Used gnome-software to install a package. Once it was installed I expected to see an option to remove it. As can be seen all I see is the option to Install the package. If you click Install you are then given the option to remove the package. This bug is still present in Ubuntu Gnome 17.04. I am unable to duplicate this bug with gnome-software 3.24.1 in Ubuntu 17.10 Alpha. The bug is still present in Ubuntu 17.04 although it feels to me like it's closer to working than it was with earlier versions.